We have the greatest volunteer team around.. and they make it all happen when we call on them. 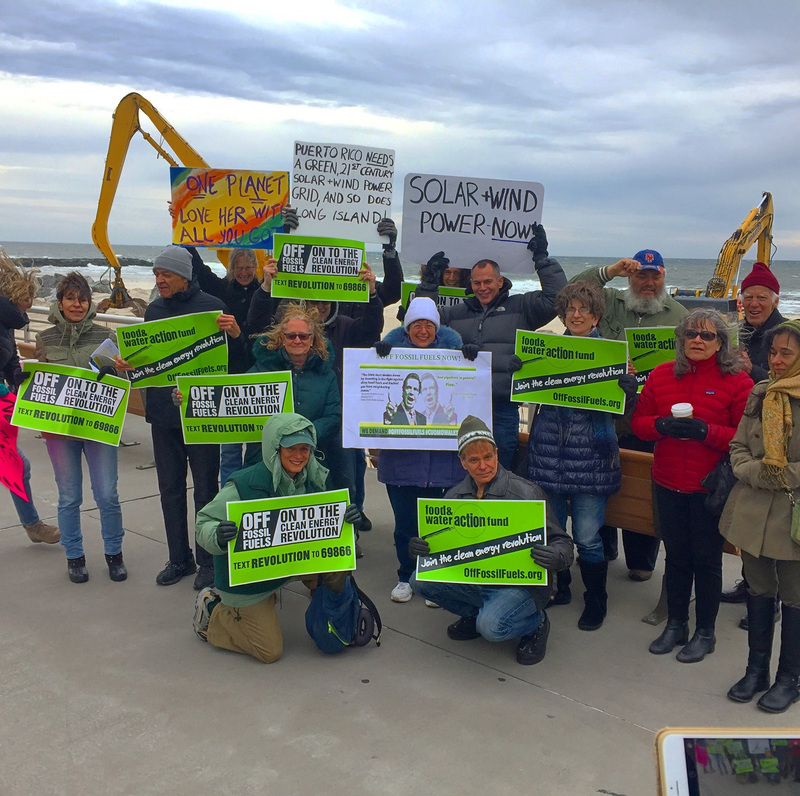 This past week they turned out for a rally on the freezing cold Long Beach Boardwalk to get NY Off Fossil Fuels, covered in Newsday. Thanks to Joanne, Karen, Susan, Shelley, Karin, Jayne, Barbara and everyone else who came out! They’ve been diligently seeking, collecting, including reusable bag use info sheets, and then distributing reusable bag donations from local businesses for other organizations to give away during the holiday season, many going out this week with Thanksgiving meals in them in Long Beach, Sea Cliff and Lynbrook. Do you know what else we are thankful for? You. Thank you for taking this journey with us and for your support!